An annual review is an opportunity for a charity to capture public imagination and support. To be successful and deliver value for money it should be like a campaign - with a strong and simple message, strikingly delivered. This year's key message from the Katie Piper Foundation was about how small things, like a course of specialist physiotherapy, can make a big difference. 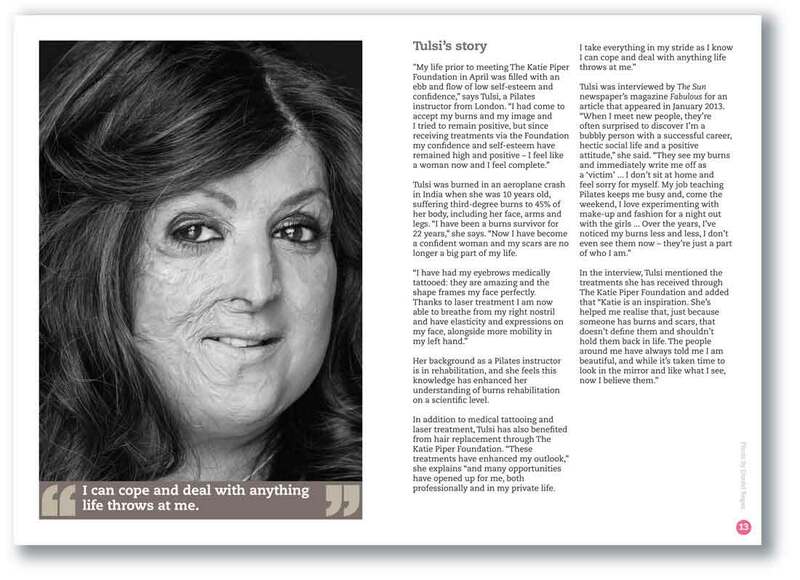 And using this to emphasise the KPF's change of focus in 2012: less about Katie and more about the beneficiaries - the people benefiting from groundbreaking burns treatment funded by the Foundation. Our idea was to communicate all of this via a series of dramatic reportage style photographs. Putting the beneficiaries centre stage and showing them as individuals, not victims; bringing out their strength and courage. And we are immensely grateful to the participating beneficiaries, Costa, Tanja, Tulsi and Beth for taking part and also to photographer Daniel Regan whose fantastic images convey the message so well. Thank you for the Annual review! It is awesome and so inspiring seeing all my friends featured in it together with myself. I am feeling very high after reading through this. 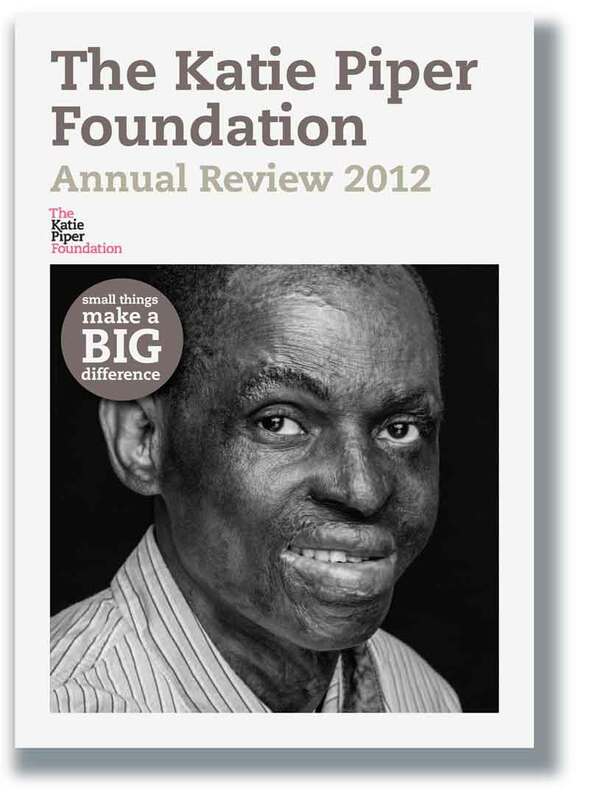 The third Annual Review for The Katie Piper Foundation, once again designed by Ideology, is our best yet. 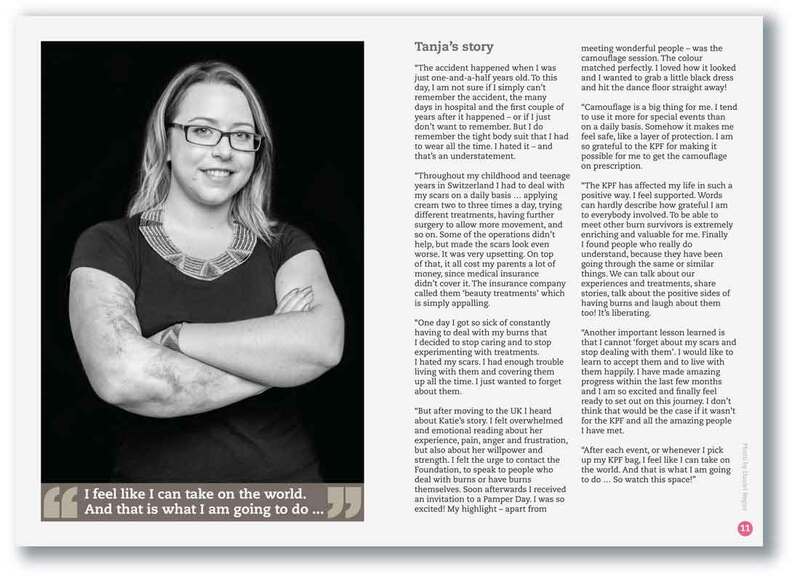 What started as a face to face meeting (sometimes the only way to do business) along with feedback from one of our beneficiaries - who told us that small things make a big difference - has developed into a strikingly fresh, strong publication with an immediate impact. Ideology's bold ideas fit with the Foundation's strengths and I am already looking forward to reporting on this year's developments for the charity with simple but energetic designs from Tony and the team.